The Camborne Business Improvement District (BID) team has launched the latest edition of its town guide. 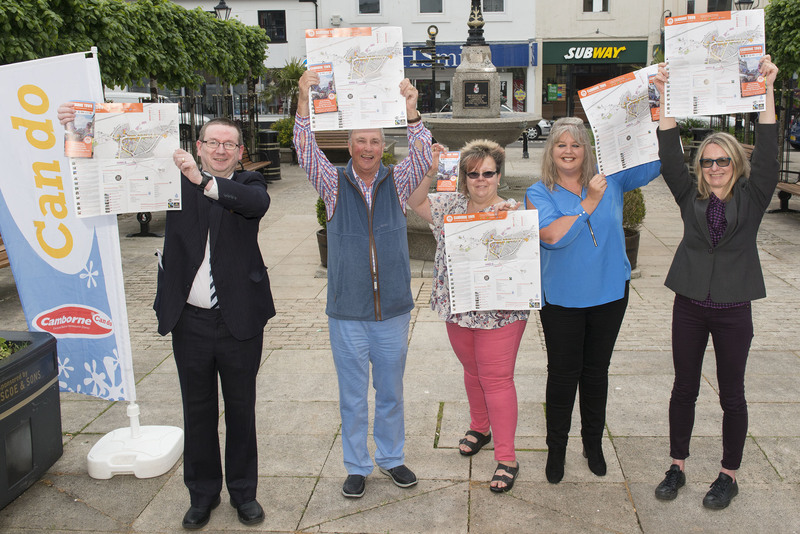 The free publication provides details about car parking, toilets, wifi locations, transport links, the heritage trail, key events and the businesses that offer free water refills. “We’re delighted with the feedback the brand new guide is getting,” said BID chair Sharron Lipscombe-Manley, who owns and runs Delight2Bite in Cross Street. “In many ways, Camborne is an undiscovered gem with a strong sense of community and so much to see and do. This is the sixth consecutive year that the BID team have produced the guide. “Even in this digital age, it’s really handy to have a map in your hand that provides plenty of useful information,” said BID manager Mel Martin.